Hopkins Training and Education Group (Hopkins) is committed to the highest standard of professional training and education; and is dedicated to the needs of working professionals and corporations. At Hopkins, we are highly quality-result-oriented and our ultimate goal is to achieve training and education excellence. Our objective is to develop action-oriented professionals and executives with global perspective and leadership qualities to meet the needs of this rapid and ever-changing business world. We achieve that by further unlocking our students' potential with the equipment of an analytical mind, practical problem-solving skills, and effective management knowledge. Over the years, we have been working with world's highly reputable universities, including Michigan State University, The George Washington University, The University of California, Riverside, The University of Adelaide, The City University of New York, The University of Massachusetts, and The University of South Australia for a wide range of programs - from customized professional / executive programs to graduate pedagogical programs. By achieving the ISO9001, the name of Caring Company and HSBC Living Business, we committed ourselves in meeting a high-standard of quality management practice, providing our best services to our students, and caring about our people and our community. Our face-to-face programs are fully registered with the Education Bureau under the Non-local Higher and Professional Education (Regulation) Ordinance and our premise is registered under the Education Ordinance. Programs hosted and managed by Hopkins have attracted ambitious junior managers to senior executives from many corporations across different industries, which include Bank of China, BNP, BP, Cathay Pacific, Citibank, HK Gov't, HSBC, JP Morgan, KPMG, McDonald's, Merrill Lynch, Morgan Stanley, Pacific Century Cyberworks, PriceWaterHouseCoopers, Trade Development Council, Siemens, Tom.com, United Airlines, and many others. We develop ourselves by helping our students develop themselves! 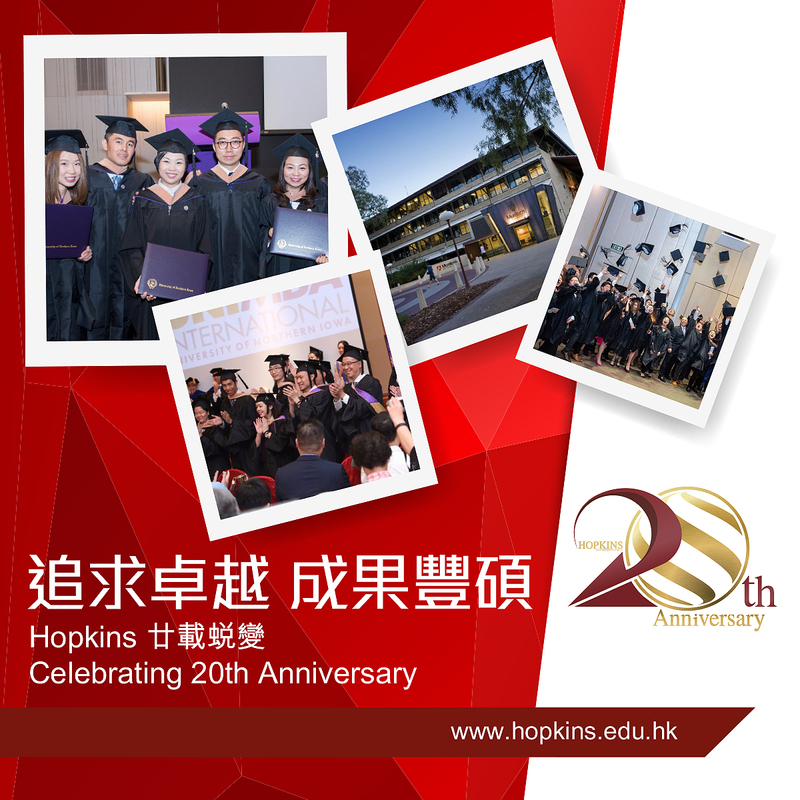 For further details on our programs and services, please contact us at (852) 2877-9938 or e-mail us at information@hopkins.edu.hk.